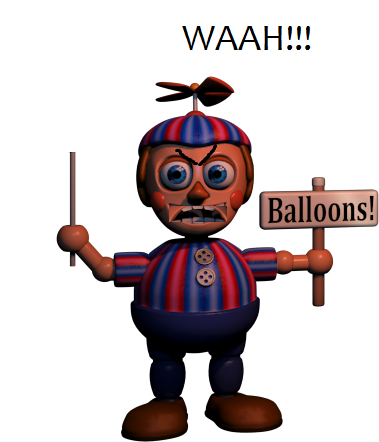 Angry Balloon Boy. 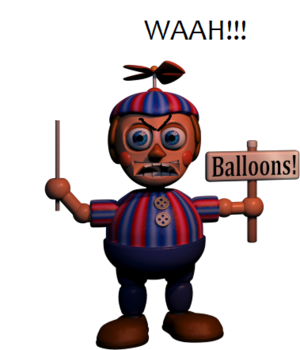 How to make him angry:pop his ballon.. Wallpaper and background images in the Five Nights at Freddy's club tagged: photo five nights at freddys balloon boy fnaf bb. How to make him angry:pop his ballon. If someone pops it...We will smash face who pop balloon. He wants same balloon,you know?We will buy balloon and paint it like how he wanted it!